If you're thinking of running a website to keep your business active and up to date, then you're going to need a framework to get you started. While most people seem to think that WordPress or Joomla are their only options, the truth is that Drupal remains to be one of the most efficient and effective frameworks on the market, used by around 2.2% of all business websites. Drupal is responsible for powering a range of sites across the world, spanning all the way from personal blogs, to corporate sites and government networks. In this post, we're going to be talking about the steps that you can take to make sure that you're getting the most out of your Drupal site, by speeding up performance. The more you can do to keep your Drupal site running quickly and efficiently, the more likely you are to benefit from higher traffic, improved conversions, enhanced SEO rankings, and of course, better revenue too! A lot of website administrators simply overlook or ignore the importance of updating the modules on their websites. However, it's worth remembering that over time these modules can quickly weigh down your website, and cause several serious problems. The result is often a sluggish and overwhelmed website that struggles to load properly across a range of devices and browsers. 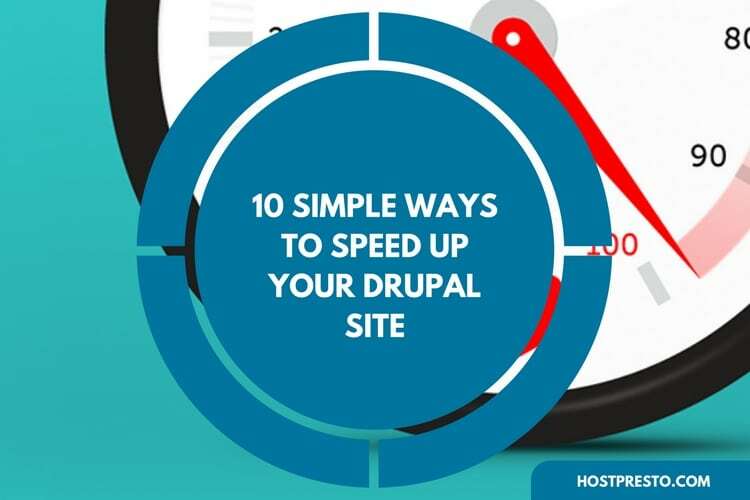 Since speed is a feature of most updates, the first thing you need to do is automatically set your Drupal site to update with every new module. What's more, doing this can help to protect you from some of the security issues that come with using an outdated framework too. A content delivery network is a geographically situated network of servers or proxy servers that's designed to ensure that your customers always get the best experience when they visit their website. Instead of sourcing content from one central location, the CDN delivers content from the space closest to the user. Implementing a CDN with Drupal is a simple and fast way to enjoy reduced load times on your website. When you start using your network, you'll make sure that you have the resources to serve assets from multiple locations around the globe, reducing latency, and enhancing user satisfaction. Images are potentially the heaviest thing on any website, and they're also among the slowest lowing elements available, thanks to their huge file sizes. The good news is that if you're already using Drupal as your framework, you can take advantage of a core feature that allows you to optimise the size of your chosen image for different screens. This reduces your load times, and also makes sure that your site continues to look good on any device. Speaking of the pictures on your website, lazy loading images can be a fantastic way of drastically reducing your page load times by making sure that your image will only appear when it's visible to the browser window. Currently, the most popular Drupal solution used for this purpose the "Image Lazyloader" option. You could also use a module to scale down your images when you're uploading them onto the website, so that you aren't relying on your CSS to scale them down. Unlike many of the other CMS platforms available today, Drupal comes with its own caching options built into its core framework. As such, using caching is possibly one of the easiest ways to expand Drupal performance on your site. To access caching simply go to your "Configuration" settings, then onto "Development" and "Performance". Choose to "Enable" the cache pages for anonymous users and also turn on cache blocks, from there, you can choose a minimum cache time life value to decide when certain pages expire. Just as it's important to make sure that your modules are up to date, it's also crucial to remove any unnecessary modules that could be weighing down your system. Most experts recommend ensuring that you don't run any more than 50 modules at a time, so go through your selection and see what you can get rid of on a regular basis. 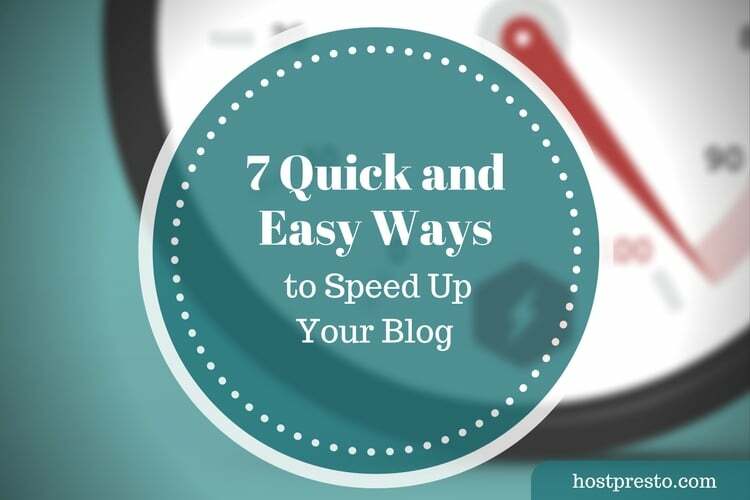 While most of the tips on this list refer to things that you can do yourself to speed your Drupal site up, few of these things will matter if you can't rely on a great performance from your hosting provider. 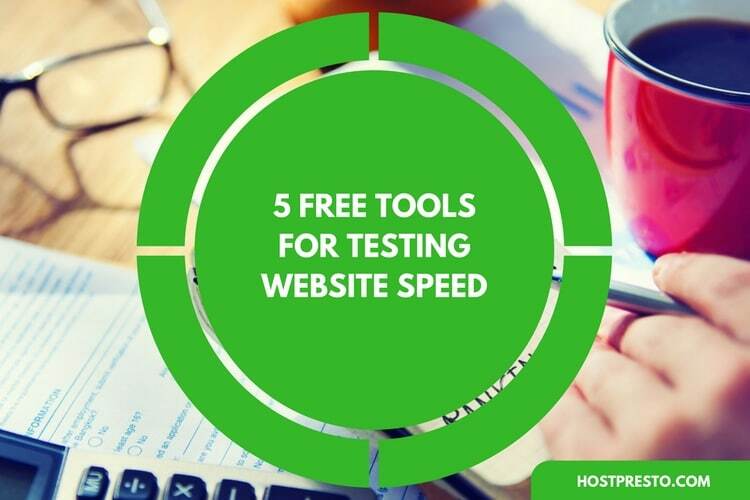 One of the most important things you can do is settle on an effective hosting provider to keep your site speed in check. Make sure that you browse the different providers available and compare and contrast to see what deals you can get. Rather than using a module that can check for 404s on your behalf, it might be better to occasional run your website through external services like the "Online Broken Link Checker" to ensure that you're not wasting server resources. Drupal has relatively expensive 404 errors. On most standard sites with an average amount of module load, you could find that anywhere up to 100MB of memory is used on servers delivering a 404. The Drupal "Fast 404" module can fix this issue, by delivering errors that use less than 1MB of memory. Besides the 9 options offered above, there are also a range of other things you can do to boost the performance of your Drupal site. For instance, you can disable database logging with the syslog-ng module, and add client-side validation using the Client side Validation module. Alternatively, you can consider choosing a Drupal-specific web host, to increase your chances of a customised level of high-action performance.